Hey there, my name is Slobodan. I have 10+ years of experience in UX/UI, Web and App design. Also I'm part of Toptal community. "great work, fast turn around"
"Excellent designer that provided a solution for our home page right away. Clean work and fast delivery. " "Great design ; Willing to make plenty of changes for us." "ZeroBxB was a pleasure to deal with right from the start. He took all of our needs from our design brief into consideration and adjusted designs for us along the way when called for. 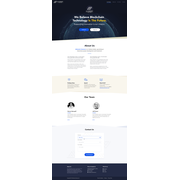 We are really happy with our end product and we are excited to get the..."
"ZeroBxB did a great job with our website design. He was able to translate our vision perfectly. He responded quickly to our revision requests. " "Great job on my web application design. Designer put forth a lot of effort and was very punctual throughout the process." "ZeroBxB did a great design job for us. He understood our needs very well and also added value with his own design ideas. He is a very responsive person and delivers refinements very fast. It was a pleasure working with him and we will rely on him on fut..."
"ZeroBxB was quick to respond to feedback and was engaging throughout the contest. He produced great work and was a pleasure to work with." "I am happy with the whole process of working with Sloodan. He is quick to respond with satisfactory design resolutions. I am also happy with the great designs I have. They look professional, clean and refreshing. Thanks, Slobodan! Andrew"
"Good designer and also good communication where he is patience, study the brief thoroughly, and comes up with unique design."